Anemia is a condition when your blood lacks red blood cells or hemoglobin than their normal count.. If you have few red blood cells, or your hemoglobin is low, the cells in your body will not get enough oxygen. Anemia is common in pregnant women, women with excessive bleeding during menstruation, breast feeding women, women who have undergone abortions, growing children and old age people due to medical conditions. 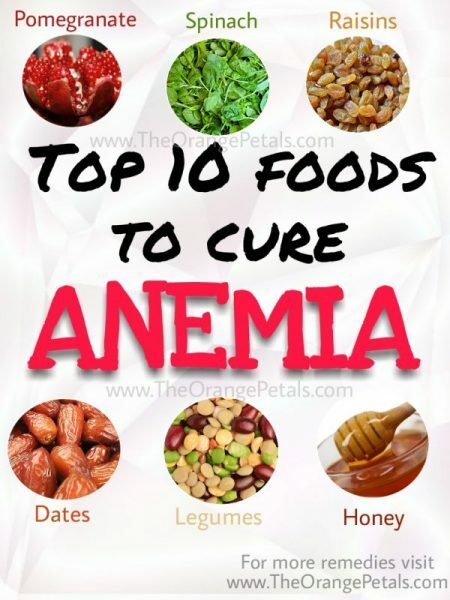 Mostly anemia can be cured with diet changes and iron supplements, we see here, the home remedies for Anemia. Dates are rich in iron, vitamin B complex and vitamin C and are a good source of dietary fiber and antioxidants. They improve the red blood cells in the body. Dates can eaten fresh or soaked overnight in a cup of milk and taken in the morning. 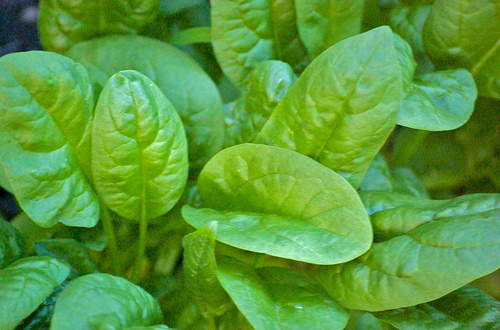 Spinach is a excellent source of iron and folic acid and it can overcome anemia when taken regularly. Do include these spinach or other green leaves like fenugreek leaves, amaranth leaves in your daily diets. You can make smoothies using these leaves, add honey to it and drink, else you can add them in curries, rotis etc. The dried fruits like peaches, prunes and raisins has more iron content compared when they are taken fresh. These dried fruits can be taken as it is or try adding them in your oatmeal, or cereals or in baked goods so as to increase your iron and fiber intake. 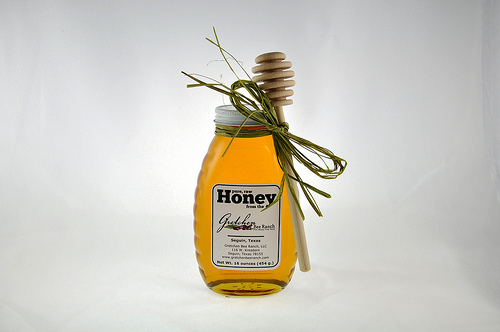 Honey is an natural medicine for iron deficiency. Honey is rich in iron, manganese and copper and eating a tsp of honey everyday increases the haemoglobin content in the blood. Pomegranate is rick in iron, calcium and magnesium. It is again one of the natural remedy to treat anemia. You can eat this fruit for more benefit or make the pomegranate juice or pomegranate milkshake and drink in the morning. 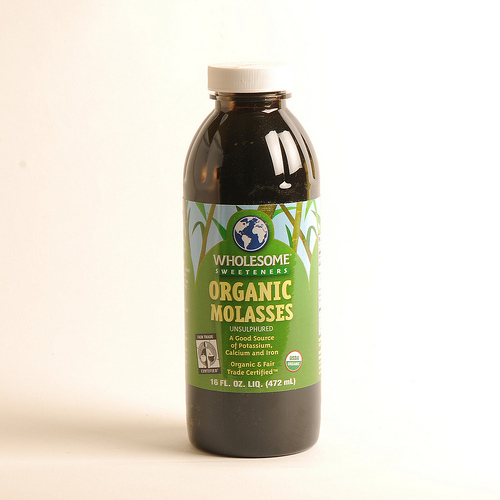 Blackstrap molasses, or simply blackstrap, is the dark, viscous molasses remaining after maximum extraction of sugar from raw sugar cane. Unlike refined sugars, it contains significant amounts of vitamin B6 and minerals, including calcium, magnesium, iron, and manganese one tablespoon provides up to 20% of the recommended daily value of each of those nutrients. Figs which is another great source of iron, can be eaten as fresh or dried. The daily intake of figs, enhances your body iron content. Legumes, like soya beans and chickpeas are high in iron content and are excellent source of important minerals like copper, proteins etc. These can be added in everyday meal to increase the haemoglobin of blood. 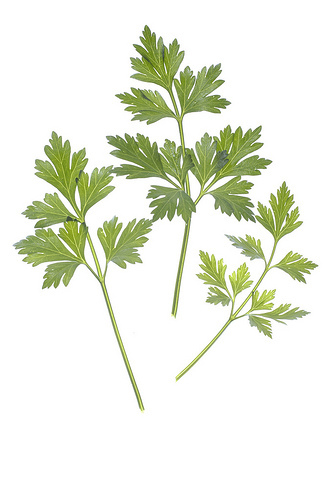 Parsley, a popular herb which is used in culinary world, is very high in iron and folic acid. 1 tbsp of this dried parsley can meet 10% of your body’s daily requirement of iron. So try to include this in your food, as far as possible. Black Sesame seeds are another excellent source of Iron to treat anemia. You can also use the white sesame seeds. You can make stuffings in dumblings (pooranam in modak or kozhukattai in Tamil) and have it as your breakfast.